mohammad hatta Thanks hopefully Biography biography Biography and Profile Bung Hatta, he is the hero of the nation whose services eligible for recalls and we pray for his services during his service as an Indonesian national hero, And Then how the story of his life he Samasa you please be more familiar with man Hatta Hatta biographies. Mohammad Hatta was born on August 12, 1902 in Dublin. In a lovely little town Bung Hatta raised in his mother's family. His father, Haji Mohammad Djamil, died when she was eight months Hatta. From his mother, Hatta has six sisters. He was the son only. Since sitting on MULO in Padang, he has been interested in the movement. Since 1916, youth associations arise as Jong Java, Jong Sumatranen Bond, Jong Minahasa. and Jong Ambon. Hatta get into clubs Jong Sumatranen Bond. As treasurer Jong Sumatranen Bond, he realized the importance of financial sense for his association. However, the financial resources of both membership dues and donations from outside is possible only if the current members have a sense of responsibility and discipline. Sense of responsibility and discipline further characterize the properties of Mohammad Hatta. The period of study in the NetherlandsIn 1921 Hatta arrived in the Netherlands to study at Handels Hoge School in Rotterdam. He signed up as a member of Vereniging Indies. In 1922, the association changed its name to Indonesische Vereniging. Society who refused to cooperate with the Dutch was then renamed again to the Association of Indonesia (PI). Hatta also see to it that the magazine assembly, Poetra Indies, appear regularly as a basic bond between members. In 1924 the magazine changed its name to Indonesia Merdeka. Hatta pass the exam handels Economie (economic trade) in 1923. Originally he intended doctoral exams in economic science at the end of 1925. Therefore in 1924 he was active in the non-PI. But when it opened a new department, which state law and administrative law. Hatta also entered the department was encouraged by the great interest in politics. The extension study plan that allows Hatta was elected Chairman of the PI on January 17, 1926. On that occasion, he spoke inauguration speech, entitled "Economische Wereldbouw en Machtstegenstellingen" - World Economic Structure and the Conflicts of power. He tried to analyze the structure of the world economy, and based on that, pointing to a non-cooperative foundation of wisdom. From 1926 to 1930, respectively Hatta elected as Chairman of the PI. Under his leadership, the PI developed from sororities used to be the political organization of the people who influence the course of politics in Indonesia. So finally recognized by the National Political Association Pemufakatan Indonesia (GN) PI as outposts of the national movements in Europe. PI active propaganda outside the Netherlands. Almost every international congress in Europe entered, and received the association. During that time, almost always Hatta himself who led the delegation. In 1926, with the aim of introducing the name "Indonesia", Hatta led a delegation to the International Congress for Peace Democracy Bierville, France. Without much opposition, "Indonesia" was officially recognized by Congress. The name "Indonesia" to mention the Dutch East Indies when it was a really well known among international organizations. Hatta and Indonesian nationalist movement got important experience in the League Against Imperialism and Colonial Oppression, an international congress held in Brussels on 10-15 February 1927. At this congress Hatta acquainted with the leaders of the labor movement as G. Ledebour and Edo Fimmen, as well as figures who later became statesmen in Asia and Africa such as Jawaharlal Nehru (India), Hafiz Ramadan Bey (Egypt), and Senghor (Africa). His personal friendship with Nehru started since then. In 1927 also, Hatta and Nehru invited to give lectures for the "International Women's League for Peace and Freedom" in Gland, Switzerland. Title lecture Hatta L 'Indonesie et son Probleme de I' Independence (Indonesia and the issue of Independence). Along with Nazir St. Pamontjak, Sastroamidjojo Ali and Abdul Madjid Djojoadiningrat, Hatta was jailed for five and a half months. On March 22, 1928, the court in The Hague freed four of all charges. In a historic session, Hatta argued that awesome defense speech, later published as a pamphlet by the name "Indonesia Vrij", and then translated into Indonesian as a book with the title of independent Indonesia. Between the years 1930-1931, Hatta concentrate on his studies and writing essays for magazines Daulat Ra'jat and sometimes De Socialist. He planned to end his studies in mid-1932. Back to the MotherlandIn July 1932, Hatta successfully completed his studies in the Netherlands and a month later he arrived in Jakarta. Between late 1932 and 1933, the main bustle Hatta was written various articles on political and economic to Daulat Ra'jat and perform a variety of political activities, especially the education of political cadres in the Party of National Education of Indonesia. The principle of non-cooperation is stressed to its cadres. Hatta harsh reaction against Sukarno attitude with respect to the holder by the Dutch colonial government, which ended with the removal of Sukarno to Ende, Flores, seen in his writings in Daulat Ra'jat, entitled "Soekarno Detained" (August 10, 1933), "Tragedy Sukarno "(30 November 1933), and" Attitudes Leaders "(December 10, 1933). In February 1934, after Sukarno exiled to Ende, the Dutch colonial government turned its attention to the Party of National Education of Indonesia. The leadership of the Party of National Education Indonesia arrested and then exiled to Digoel. A total of seven people. From the Jakarta office was Mohammad Hatta, Sutan Sjahrir, and Bondan. From London office: Maskun Sumadiredja, Burhanuddin, Soeka, and Murwoto. Prior to Digoel, they were imprisoned for nearly a year in prison and Cipinang Glodok, Jakarta. In Glodok prison, Hatta wrote a book titled "The Economic Crisis and Capitalism". The ExileIn January 1935, Hatta and his friends arrived in Tanah Merah, Digoel (Papua). The head of government there, Captain van Langen, offers two options: to work for the colonial government to pay 40 cents a day in the hope will be sent back to their home, or being outcast by receiving food in kind, with no hope of repatriated to their hometown . Hatta said, when he worked for the colonial government when he was still in Jakarta, must have been a great man with a great salary as well. So it is not necessary for him to become porters Tanah Merah paying 40 cents a day. In captivity, Hatta regularly write articles for the newspaper view. Honorarium enough to live in Tanah Merah and he can also help his friends. His home in Digoel filled his books specially brought from Jakarta as many as 16 crates. Thus, Hatta has enough material to give lessons to his comrades in exile on economics, history, and philosophy. Collection of learning materials were later recorded with titles such as, "Introduction to Road Science and Knowledge" and "Natural Greek Thought." (Four volumes). In December 1935, Captain Wiarda, a replacement van Langen, announced that the disposal Hatta and Sjahrir moved to Bandaneira. In January 1936 they went to Bandaneira. They met Dr. Tjipto Mangunkusumo and Mr. Iwa Kusumasumantri. In Bandaneira, Hatta and Sjahrir able to mix freely with the locals and to teach the local children in the fields of history, bookkeeping, politics, and so on Iain. Return to Java: The Japanese OccupationOn 3 February 1942, Hatta and Sjahrir brought to Sukabumi. On March 9, 1942, the Dutch surrendered to the Japanese, and on March 22, 1942 Hatta and Sjahrir brought to Jakarta. During the Japanese occupation, Hatta was asked to work as an advisor. Hatta said about the ideals of the Indonesian people for independence, and he asked if Japan would colonize Indonesia? Daily while the head of government, Major General Harada. replied that Japan would not invade. But Hatta know, that Indonesia's Independence in Japan is different from understanding its own terms. Recognition of Independence of Indonesia by Japan's need for Hatta as a weapon against the Allies in the future. When the Japanese fascists want to admit, is a democratic ally would not? That's why the Japanese always didesaknya to give such recognition, newly acquired in September 1944. During the Japanese occupation, Hatta did not talk much. But the speech made at the Field Ikada (now Freedom Square) on December 8, 1942 tanggaI electrify many circles. He said, "Indonesiaregardless of colonization of Dutch imperialism. And therefore he did not want to be a colony again. Young and old to feel this sharp-sharp. For the youth of Indonesia, he Iebih like to see Indonesia sinking into the sea rather than have it as a colony of the back. " ProclamationIn early August 1945, the Committee of Inquiry Efforts Preparation of Indonesian Independence was replaced by the Preparatory Committee for Indonesian Independence, with Sukarno as chairman and Mohammad Hatta as Vice-Chairman. Its members consist of representatives of regions throughout Indonesia, Java and nine of twelve people from outside Java. On the night of 16 August 1945, the Preparatory Committee for Indonesian Independence proclamation at a meeting to prepare at home Admiral Maeda (JI Imam Bonjol, now), which ended at 03.00 am the next day. Small committee consisting of five persons, namely Soekarno, Hatta, Soebardjo, Soekarni, and Sayuti Malik split off into a room to compose the text of the proclamation of independence. Soekarno Hatta requested compose a quick proclamation. Soekarno Hatta suggested that wrote the words dictated. After the job was finished. they took him to the living room, where the other members are waiting. Soekarni proposed that the text of the proclamation is signed by two people, Sukarno and Mohammad Hatta. All present welcomed the boisterous clapping.The date August 17, 1945, Indonesia's independence was proclaimed by Sukarno and Mohammad Hatta on behalf of the Indonesian nation, right at 10:00 am at East 56th Street Pengangsaan Jakarta. Dated August 18, 1945, Ir Soekarno was appointed as the President of the Republic of Indonesia and Drs. 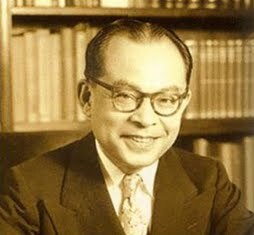 Mohammad Hatta was appointed Deputy President of the Republic of Indonesia. Soekardjo Wijopranoto argued that the President and Vice President should be a duumvirate. Maintaining Independence Period IndonesiaIndonesia should maintain its independence from the Dutch Government's effort to re-colonize. The Government of the Republic of Indonesia moved from Jakarta to Yogyakarta. Twice negotiations with the Dutch led to the Treaty Linggarjati and Reville, but it always ended in failure due to cheating the Dutch. To seek support abroad, in July I947, Bung Hatta went to India to see Jawaharlal Nehru and Mahatma Gandhi. by masquerading as a co-pilot named Abdullah (The pilot is Biju Patnaik who later became Minister of Steel India in the government of Prime Minister Morarji Desai). Nehru promised, India can help Indonesia to protest to the UN resolution that condemned the Netherlands. And threats facing hardship after another. September 1948 PKI rebellion. December 19, 1948, the Dutch returned a second aggression. President and Vice President captured and exiled to Bangka. But the people of Indonesia struggle to maintain independence continues raging everywhere. Commander Soediman continue to lead the armed struggle. On December 27, 1949 in Den Haag, Bung Hatta, who chaired the Indonesian delegation to the Round Table Conference to receive the recognition of Indonesian sovereignty of Queen Juliana. Bung Hatta also the Prime Minister of the Republic of Indonesia States while standing. Furthermore, after the RIS to the Unitary State of the Republic of Indonesia, Bung Hatta returned to the Vice President. Period 1950-1956During her time as Vice President, Bung Hatta remained active giving lectures at various institutions of higher education. He also continued to write various essays and scholarly books in economics and cooperatives. He also actively guiding the cooperative movement to implement the ideals in the conception of the economy. Dated July 12, 1951, Bung Hatta radio speech to welcome the Day of Cooperatives in Indonesia. Because besamya Bung Hatta activity in the cooperative movement, then on July 17, 1953 he was appointed as the father of the Indonesian Cooperatives Cooperatives Congress Indonesia in Bandung. Bung Hatta thoughts about cooperatives, among others, outlined in his book, Building Cooperatives and Cooperative Building (1971). In 1955, Bung Hatta announced that if the parliament and the Constituent choice of the people has been formed, he will resign as Vice President. It was his intention to resign diberitahukannya through a letter to the chairman of Parliament, Mr. Sartono. Copies of the letter sent to President Soekarno. After the Constituent Assembly officially opened by the President, Vice-President Hatta told the Speaker that on l December 1956 he would put his position as Vice President. President Sukarno tried to stop, but the Bung Hatta remained at its founding. On date 27 November 1956, he received an honorary degree of Doctor Honoris Causa academic in jurisprudence from the University of Gajah Mada in Yoyakarta. On that occasion, Bung Hatta inaugural speech entitled "Past and Coming". After Bung Hatta resigned as Vice President, also earned several academic degrees from various universities. Padjadjaran University in Bandung confirmed Bung Hatta as a professor in political science economy. Hasanuddin University in Ujungpandang give Doctor Honoris Causa degree in Economics. University of Indonesia to give the title Doctor Honoris Causa in the field of law. Bung Hatta inaugural speech titled "Towards the Rule of Law". In 1960 Bung Hatta wrote "Our Democracy" in the banner of People magazine. A paper known for highlight the views and thoughts of Bung Hatta on the development of democracy in Indonesia at that time. In the New Order government, Bung Hatta over an elder statesman for his people than a politician. Hatta Rahmi married to Rachim on November l8, 1945 in the village of Megamendung, Bogor, West Java. They have three daughters, Meutia Farida, Gemala Rabi'a, and Halide Fatma. The two oldest daughters are married. The first with Dr. Sri-Edi Swasono and the second with Drs. Mohammad Chalil Baridjambek. Hatta had witnessed the birth of two grandchildren, namely Sri Juwita Hanum Swasono and Mohammad Athar Baridjambek. On August 15, 1972, President Soeharto convey to the Bung Hatta gift form the highest mark of Honor "Star of the Republic of Indonesia Class I" in a state ceremony at the State Palace.Bung Hatta, Proclaimers of Independence and First Vice President of the Republic of Indonesia, died on March 14, 1980 at the Dr. Tjipto Mangunkusumo Hospital, Jakarta, at the age of 77 years and was interred in the cemetery Land coachman on March 15, 1980.